Sumas Environmental Services Inc. (Sumas) is an independent environmental service company in Western Canada that offers a complete range of waste management and industrial services options, including industrial tank cleaning, off-site water treatment, off-site soil remediation and disposal, hazardous waste treatment and disposal. Our commitment to providing reliable pricing, our vast experience in handling and safely disposing a wide variety of waste materials, and our ability to independently offer such a diverse range of equipment and technical expertise in-house sets Sumas apart from other environmental service company. Hazardous and Industrial Wastes Treatment and Disposal including solids, sludges and contaminated wastewater at the British Columbia and Alberta facilities. 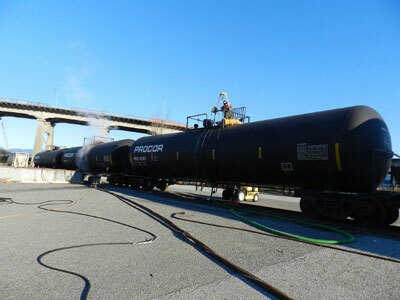 Industrial Services, and Emergency Response includes confined space entry and industrial tank and equipment cleaning, wastewater treatment, and the dispatch of trained emergency response personnel and Sumas owned equipment such as vacuum truck to the site of the spill. Site Remediation and Environmental Contracting through our sister company Sumas Remediation Services Inc., including excavation, UST removals, transportation of contaminated soil, implementation of remedial measures such as onsite bio-cells, vapour extraction, groundwater treatment, and soil and sludge stabilization.